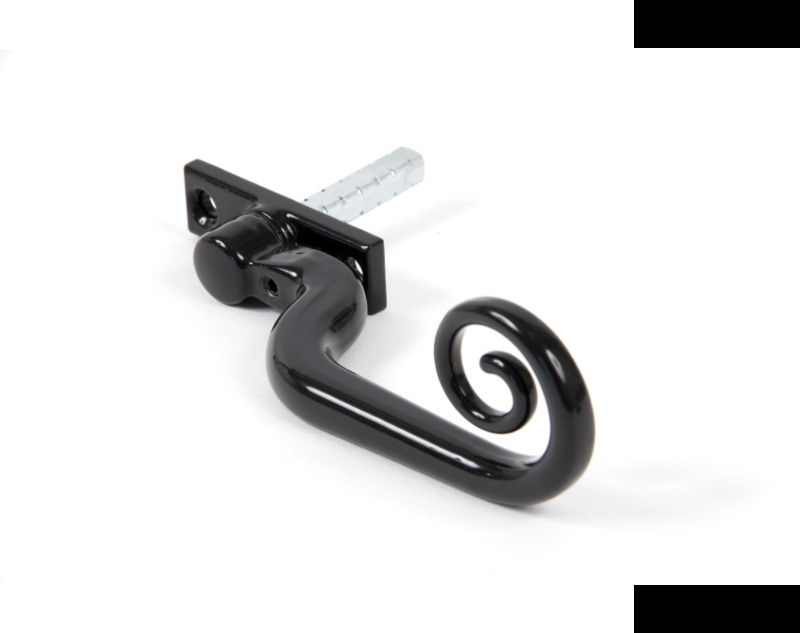 A unique, traditionally designed Monkeytail handle for all types of espagnolette windows with the functional advantages of a standard upvc handle and the aesthetics of a traditional design. Unique cranked handle to allow any size of hand to fit comfortably without fear of scraping against window. Comes with a fixed 40mm spindle which allows for cutting and a washered knuckle to allow smooth action with long life. Lockable by way of a grub screw in the handle and comes with a strong allen key. Supplied complete with key and matching fixing screws. Please note that specifications and prices may change. Simply contact one of our showrooms, in person, by phone or by email. They can also answer queries, provide advice, prepare quotations, and arrange UK and International delivery. Alternatively, let us contact you. Please complete the short form below with details of your requirements and one of our team will be in touch. Ecommerce Website Design by Designer Websites Ltd.